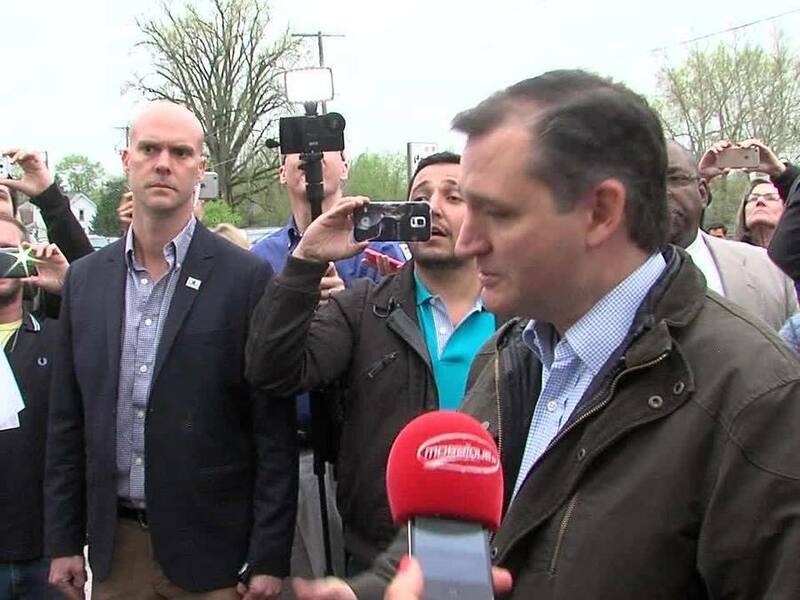 Ted Cruz stopped to meet with supporters in Marion, Indiana Monday morning. Gov. Mike Pence, who endorsed Cruz last Friday, joined the republican presidential candidate on the campaign trail. 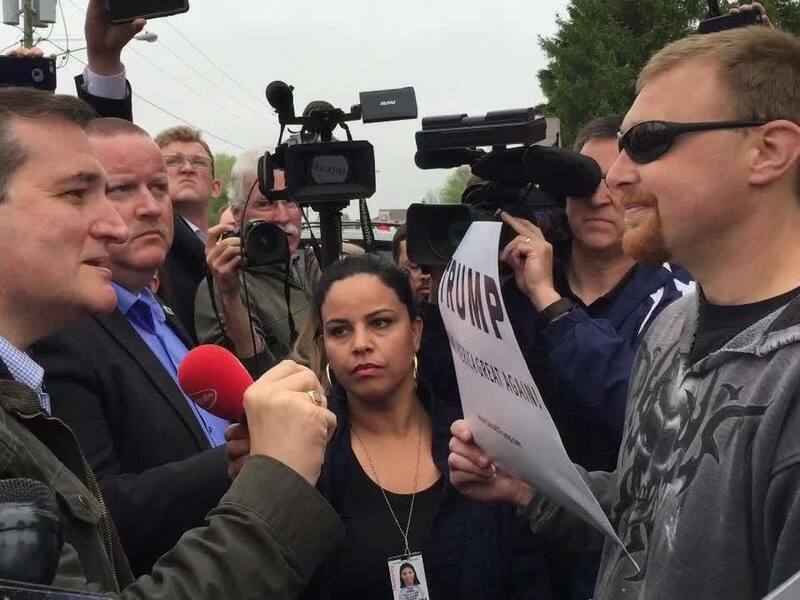 After Cruz was done shaking hands and speaking with the crowd, he went outside to where a group of Donald Trump supporters gathered and confronted one of them.